I need your help — feedback! My goal with this website it to take our standard family history projects and add some beauty to them. This printable is not earth-shattering but it is a tiny step in the right direction. I have to say up front that I am in no way modifying any trees that print from Ancestry.com, but merely embellishing them so that they are easier on the eyes. If you notice, I leave the Ancestry title at the top all alone so that it is obvious where the tree has been printed from as well as the tree name in the upper-right. 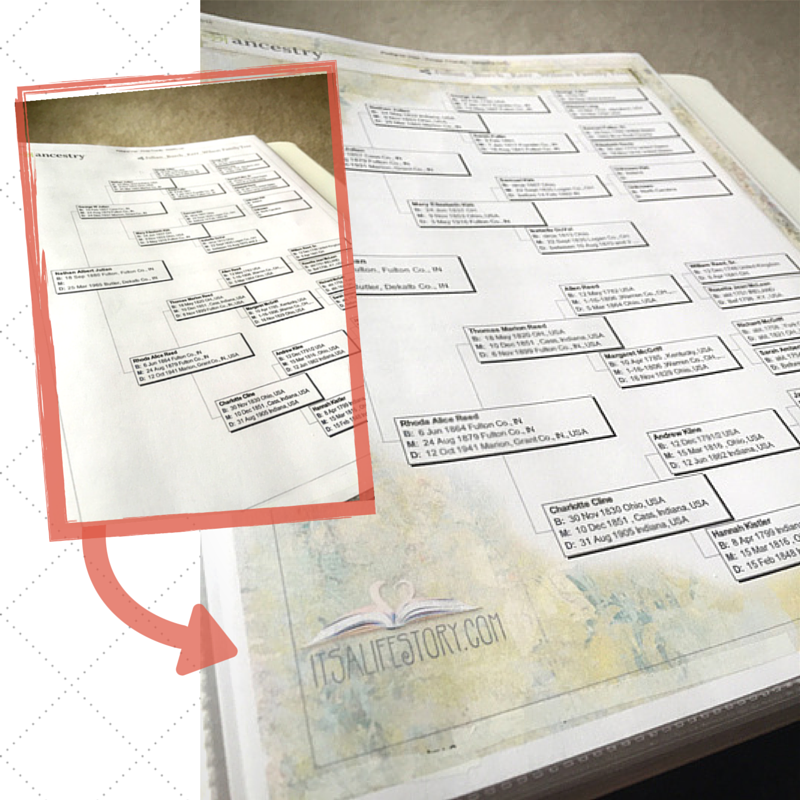 The way this works is pretty simple: If you have a family tree on Ancestry.com, you can print out your family tree (that is free) in a easy-to-read format like you see in the orange frame. Go to your family tree in Ancestry.com. If you haven’t tried this yet, you can click on the upper-left of your screen where the title of your family tree is found (you can do this at any point.) This takes you to a new screen that shows a sideways family tree starting with yourself or the first person in the tree at the left and branching out to the right. Btw, if your tree goes farther than the generations that are showing, there are little arrows to the right of each line. Just choose which family line you would like to see more of and it will expand to as far as you have taken the line. If this is the view that you would like to print, then look over at the far left control panel for a little printer symbol at the bottom of the size sliders. Click the printer icon and you are on a print screen view where you can click on the Print button again. This should take you to the printer dialog box for your printer and I’m sure that you know what to do next! 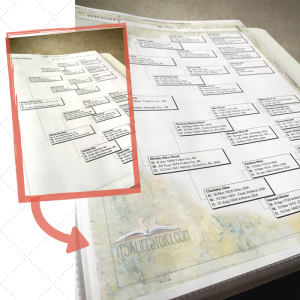 With my printable, you would take your freshly printed family tree (the first page) and insert it back into the printer upside down (depending on your printer) and heading in the right direction. You might have experiment with this a couple of times to see how your printer handles the paper. But once you catch on to how the printer is sending your paper through, then it is really easy to add my beautiful cover to the top of your Ancestry.com family tree. 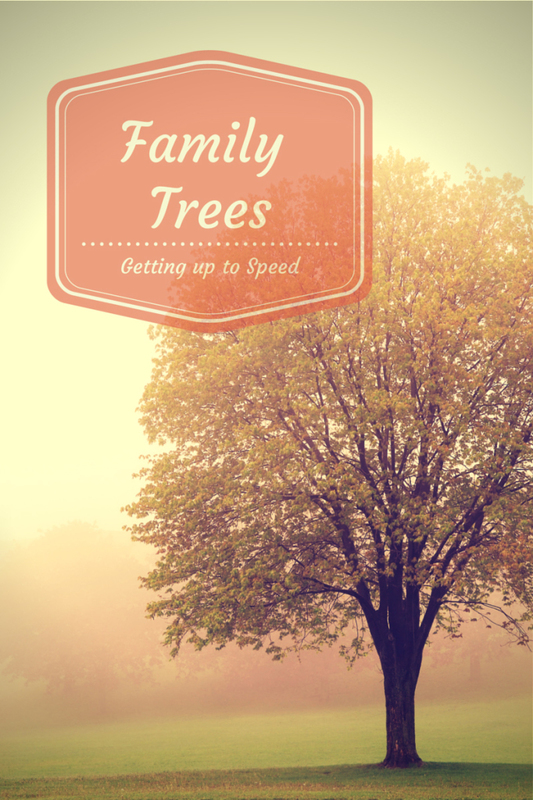 You would simply print the PDF and it will send your original family tree back through the printer and voila! — instant loveliness. Before I even think of making this available as a downloadable, I wanted to see if it is something that anyone other than myself is even remotely interested in! Share it around because the more – the merrier for me! I’d love to hear from others about one of my ideas. I’d like to send it as a freebie when I get new email sign-ups. Any takers? Did you know that most public libraries have Ancestry Library Edition available to their library patrons? Some databases can be accessed from both the library and your home computer. Others require that you log-in from inside the library on one of their desktop computers. Ancestry Library Edition is a database that requires you to access it from inside your local library. Look for a box (possibly on the left hand side) that might have selections on different subjects such as Business or Genealogy, which is what we are looking for. Click on Genealogy to select it. Go ahead and click on Ancestry Library Edition and off you go! Can I make a suggestion? Before you head over to your local library, take some time and become familiar with Ancestry Library Edition. 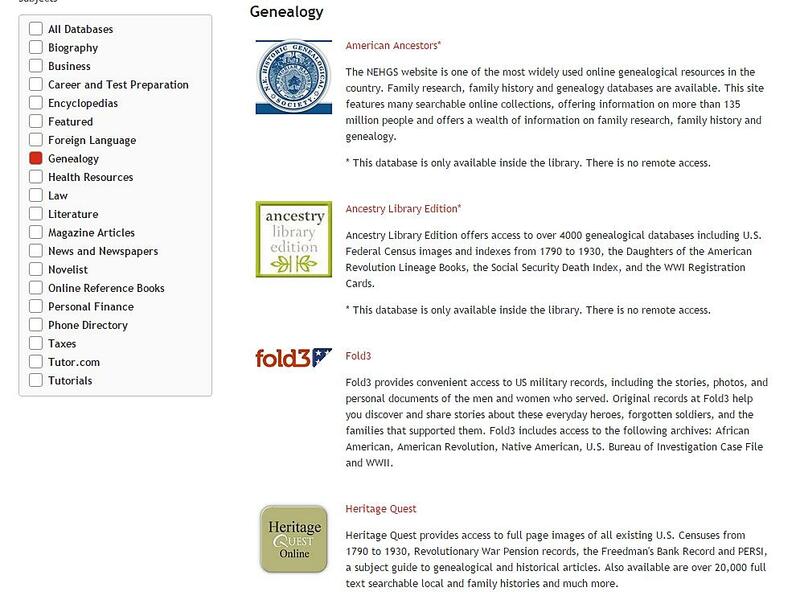 ProQuest is the partner to Ancestry for its library edition and they have put together some very good videos that describe what you will find on the library edition. Click here to view the playlist. Each one is only a couple minutes long but they will be very helpful to get you up to speed. See something that you want to add to your own file? I was able to email the document that I located to my home computer. I simply typed in my email address at the prompt. This is what was waiting for me when I got home from the library! It contains a link to your Discovery Page and all your images that you located are listed. You can then Click on the Download Image button and save it to your own computer. What a “good thing” as Martha Stewart would say! Don’t hesitate to ask the Reference Desk librarian if you have any questions! What is your most exciting find on Ancestry? I’d love to hear! The next step in our journey is to make a list of anyone that is from the next generation or two (and if you are really lucky… three) back and make contact with them. Here is a little hint: Let them know that you would like to pick their memories about their childhood, jobs, schools, family get-togethers, siblings, whatever. Just pick one area and go for it! I know. You are always told to go and talk with your older relatives and it can sound a little ridiculous to plan an interview session, but the reward is ten-fold, believe me. They get to see you and chat and on the flipside, you might get rewarded with some family stories that are priceless. They love to hear about your lives and making a point to talk with them gives your elders the opportunity to share some of their stories. This step isn’t supposed to sound like your mom waggling her finger at you and making you feel bad… It is just a step that you might not get to take some day and (here is a little finger waggling) will likely regret. It’s the old should-have’s and could-have’s. We all know that we won’t live forever, but here is the silver-lining to all of that foreboding talk: our stories can live on forever and ever as long as they are written down. Now, isn’t that thought enough to spur you into action? Take some old family photos or ask to see their own album. Instead of just asking names, point out a person and ask some questions about how they dressed, how your elder was related to them, and if they remember any particular stories about that person in the photo. 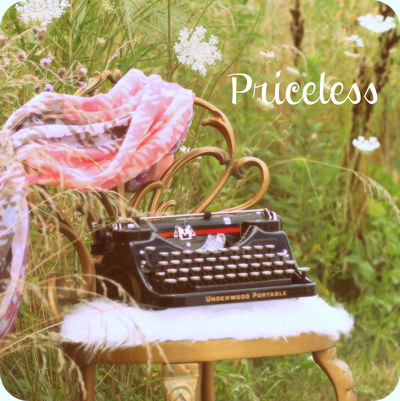 Quick story on why a video is priceless. Actually, it is two stories; all very near and dear to my heart. My father passed away a couple of years ago and as we were going thru his office, I came across a DVD in a very unassuming white paper cover. His name was written on it in Sharpie with a date. What a surprise I found as I listened to my Dad being interviewed by a gentleman working on a World War II project to take down biographies and war stories to be archived. I was pretty close to my Dad but I didn’t even realize that he had been interviewed let alone videotaped. My Dad was prompted to talk about his childhood thru high school along with his entry into the Air Force. He then told about his time while enlisted including boot camp and the job that he performed while in the Service. So, imagine my shock as I got to see my Dad talk in a very casual setting using all the familiar mannerisms that I knew like the back of my hand. Now, they would always be just a click away. Talk about priceless. It evens hits home harder because my Mom, who had passed away in 2000, is practically a ghost in any videos that I pour through. I occasionally get a snippet of her talking in the background, but she definitely was shy around cameras and even more so with video. Maybe she just thought that all the videos we took of our kids should have them as the focal point. I don’t know. What I do know is that I don’t have any video of my mom long enough to hear much of her voice and show our youngest, who never got to meet their grandmother. Now… no need for any shedding of tears. I didn’t tell you those things to make you sad. I just want to impress on anyone that will listen that we can’t bank on the fact that our treasured family members will live forever. So, go ahead make your opportunity and let me know if you don’t feel crazy good after you have had some of these “listening” sessions! 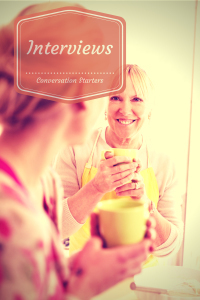 I’d love to hear your favorite story about a particularly interesting interview you have done. So many papers, so little time. Take a walk on the wild side! You know that you want to… Be the one to pull together a family history that would make the toughest person in your family break down into tears! You are about to embark on one of the sweetest adventures of your life. So, where to begin? Of course, you start with yourself. Grab a cheap binder that you can put some page protectors in for the paper documents that you will start to accumulate. 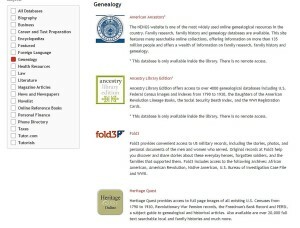 On your computer start a new folder or a new library, if you prefer, labeled Family History Research. OK… this might seem tedious but open that Surname folder and make another new folder with your Last Name(Maiden) [space] First name. As far as the binder, we will start to locate some important paper documents that will be finding their way into this caretaker of our family’s paper trail. Go find your birth certificate and marriage record if married. If you are married, then you might want to go ahead and add your spouse’s birth certificate at this point as well. Put these documents into that first section labeled Gen. 1. If you have a scanner, take a few minutes to scan these documents and upload them into your folder labeled with your name. Voila! You have officially started your own family history project. It might seem a little puny at this point, but doesn’t it feel good to be well on your way? The really cool thing about birth certificates, other than the obvious fact that it notes your official name and birthdate, is that it also gives your parents’ names. In the world of genealogy, this is golden. It is the official tie back to the previous generation. As you start to accumulate earlier and earlier birth and death records, you will start to appreciate these listings of parents’ information because there are times when it will be the only way to get back to a previous generation. The next step will likely require you to do some type of sleuthing work on your own. 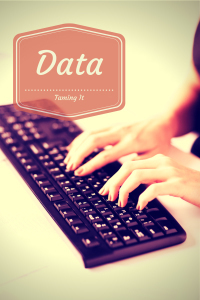 You will want to begin to fill in the outline of your parents’ information – the underpinnings of their lives. Once we have that, then we can go back to those stories that you hopefully have started to accumulate as well and place those right along the official documents. I hope that you will join with me as I start to unfold the steps that you can take to pull together a family history that might knock the socks off the rest of your family! As our days get busy with kids and life in general, we can put ourselves in the background. Get your appointment book out and set a time to write down your own timeline. Spreadsheets work great for this because you can insert lines to add new pieces of information. No need to start hyper-ventilating yet. Let’s start at the very beginning… You were born, so add that date at the top. If you take a few moments, you can quickly figure out the years that you were in kindergarten and continue through college. Go ahead and add those as well. If you are married, then there is another date to add. See, it isn’t so hard. It just takes a few minutes to get started. Then as you have a few minutes each day or even once a week, you can continue to insert more dates as they come to you. By the way, this helps for resumes as well! Let’s even go so far as to start a file folder on your computer or filing cabinet of choice that will quickly become a favorite for sure. Once you have some dates, challenge yourself to think of some stories. Write them down. I’m going to take some stress out of this by saying that you don’t have to write these stories in any particular order. A few years ago, my youngest daughter started asking me at bedtime to tell stories about when I was little. Sometimes, it took me a little bit to come up with a story that I thought was worthy to tell. But soon, I figured out that what she really wanted to hear was simply what life was like when I was little. It helped to think about subjects like summer, special events, holidays, and toys. You get the idea… She loved the stories so much that she asked every night for those stories and what I found was that I actually did have some pretty darn adorable stories that I could relate to her. You can tell where I am going with this, can’t you? Yes, now these seemingly random batch of stories need to be put into writing. 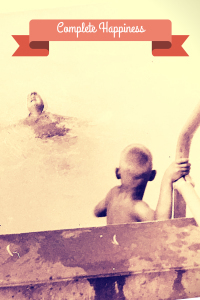 How can we pass on our family histories if we don’t include ourselves? Think of this as one of the most important things you can do for your family. If you don’t have kids yet, that’s okay as well. Think of it as the beginnings of your own biography so when you become rich and famous, you will have a head start! Then plug these stories into the spreadsheet as well; label them with a quick title so that you can easily tell which story they belong with. By the way, it’s been a couple of years and my youngest still asks for me to relate the story of when I was a little girl and went to my first public pool. All the girls had to wear those funny caps with flowers on the sides to keep our hair kind of dry and out of the pool’s drainage system. Mine worked really well and when it came time for a body-check by the lifeguards, everyone got out of the pool except for me. Imagine this little girl in the pool having the time of her life swimming in clear water with people standing along side of the pool all waving at me! I thought it was neat and waved greetings back! Since I grew up swimming in lakes, I didn’t realize that they cleared everyone out. My mom kept waving and saying something to me but with that cap on my head and over my ears, I couldn’t hear a thing. Too funny as I remember it now and my daughter really starts to giggle when she hears me retell this most embarrassing story. If I remember right, I don’t think that we went back to that pool though! And yes, the picture attached to this entry is my photo from 1967. I’ve told you one of my stories, now take a few minutes and write down one of your own! Come on… You can do it! What is the first story to come to your mind? One word from someone that has been a wife and mom for over thirty years: Do family history research for all the right reasons and know that it will give you pleasure back ten-fold. I know that you wouldn’t be reading this if you weren’t already interested in your own family history, but putting a true value on it will give you the inspiration necessary to bring it all together into a priceless heirloom. There are three parts to this equation. If your parents are living, your journey into your family’s history will turn into something almost magical. Aahhh… you laugh at me, but continue on with this and then come back and tell me different! When this project is brought out at your next family gathering, it will spark conversations that will leave you with all sorts of new stories to be written down. As for yourself, you might just discover that looking back at your own family tree, with all its ups and downs, will give you a new sense of belonging that might have gotten lost along the way. I love the sense of ownership for my home state and beloved country that I have gained from the journey into my own family’s history. Then we have the next generation, our children, and knowing that the discoveries you make about their ancestors, will affect just how much attention they will pay when it comes to learning about history in school. Actually tying one of their ancestors to a particular time in our country’s history makes a huge impact on them — especially in the elementary age group. Do I have any particular studies to back this statement up? None at all. It is all from my own personal experience and watching my own four children grow up. Add this excitement onto that same sense of belonging and you would think that it should be a requirement for everyone to delve into their own family history. There you go again…snickering at me. Or was that a snort I heard? If everyone leaned about their past, think how much better we might all feel about our own lives. How much more might we be tempted to get involved in not only our own state but in our country? If we could see some of hardships that our families endured, how could we not be affected and think differently about our own lives? Whoa… this is getting a little too deep, but hopefully, you see where I am going with this. I have to tell you that as for myself, I have gotten so much more than just knowledge from working on both my own family history and my husband’s family. The feedback that I have received is enough to almost make this girl blush! Not too long ago, my mother-in-law’s brother passed away which was terribly sad for this very close family. The good part was that my mother-in-law had the chance to spend some time with her brother and guess what he mentioned to her? He loved the book that I had made for their family several years ago. Of course, after we got done talking, I had to immediately go and pull it from the bookcase to look through again and what I noticed was how inviting it was to look through. Bare with me as I explain! I am not trying to be boastful about my scrapbook prowess; really! What I want to get across it that it wasn’t your normal family history book filled with pedigree charts, census record printouts, and death certificates. It was done more like a picture book with snippets of really interesting information. 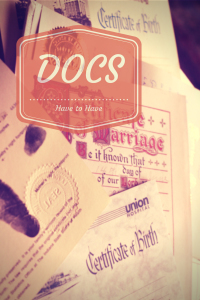 While there is definitely a place for all the documents that come along with a well-done family history project, making that connection for the reader is really almost as important. So many stories… I hope you don’t mind! They all help to make a point that I want to get across in the midst of all my attempts to entice you to take this project on. My youngest daughter is in her middle-school years. In Indiana, elementary students study their state’s history in 4th grade. Early in the school year, I approached her teacher to suggest that I come in and talk about Indiana’s pioneer history. As the genealogist for The Society of Indiana Pioneers, I have had the opportunity to read and hear a lot about this topic and I was anxious to share some interesting snippets that I hoped might catch their attention. As usual, working with my daughter’s classmates was such a wonderful experience — they really are so much fun at this age! To my surprise, I was asked to talk in front of the entire 4th grade (4 classes worth.) What was a little (…OK… a lot intimidating) for me at the beginning, quickly turned into a blessing for myself. The best part came at the end when I asked if anyone knew any of their own ancestors. I was blown away as the hands shot up and it was a good thing we had a few minutes left because they were definitely excited to relate to me all about their own famous ancestors. You could tell that some of the children were really having to put on their thinking caps to try and remember who one of their ancestors were that would equal some of the well-known names being mentioned by their peers. This was fascinating to watch from the front of the class. You would have to ask my children if this rings true, but I am pretty sure the idea that they might have been related to Pocohontas gave them the incentive to listen and learn just a little bit more when this time period came around in social studies class! The most important part of this whole story is that each one of the students that had some knowledge of one or more of their ancestors has some tie to the history of our country. That tie is what will make them not only be a great person when they grow up but will also make them a great part of our country and its future! Goodness… I am almost out of breath as I finish this posting. You might be thinking that I should have tired fingers from the length of this post, right? Anyway… back to guilty pleasures. There is nothing guilty about this because it is a win-win for everyone involved. Take it on and then report back to me and let me know if I have lead you astray!